In recent meetings of friends, family,.. we've had has given me to prepare cakes and pastries, so today's post, and the next few days, I will devote to this type of candy, What do you think? 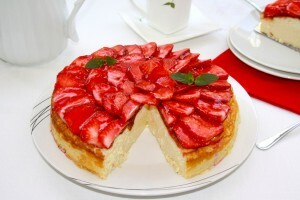 We begin today with a delicious cheesecake served with fresh fruit, that's how I like to combine this type of cakes. The texture of Ricotta cheese is also one of my favorites to do this kind of cakes, brings a softness and a pleasant taste and rich. I prepared this cake several times and always has been a success. I tell you and how do. Prepare a springform pan 23 cm. diameter smearing it with butter. We separate the yolks from the whites. In a bowl whisk the egg yolks, with milk, condensed milk, sugar, cornstarch and vanilla essence until it has formed a homogeneous mixture. Add Ricotta cheese and beat again until blended completely getting, in the end, a smooth mixture. In another bowl whisk the egg whites until stiff peaks ride hard. Add the egg whites until stiff to the other mixture, carefully so that the first not to get, removiendo gently so engaging. Pour batter into prepared pan and bake, in preheated oven at 180 º C, about 40 minutes or until done (from minute 30 be watchful because the cake, as often happens, depending on the oven may require less cooking time than you indicated or, even, some more). Once out of the oven let it cool before unmolding. Once on the source that will serve the cake, decorate it. 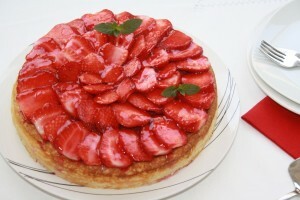 For this labamos strawberries, we remove the stalk and cut into very thin slices or thick or for, then, put on the cake. We apply, finally, and with the aid of a brush, the gelatin layer which we shall previously prepared following the manufacturer's instructions. I hope you liked and you feel encouraged to do it since it has too much complication and, in general, is a cake that is usually very well received by diners, like everyone. See you soon with another delicious cake soon !! Enter through the eyes Incarnation, that beautiful cake. 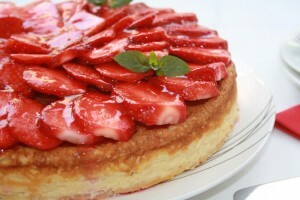 I love the combination of ricotta with strawberries, must be delicious. Congratulations on your beautiful recipe. I have been absolutely great with strawberries arranged in training (mine are more lawless and unruly, eggs) What of the gelatin is a good thing so they are very bright. A fantastic cake, Encar… I love meeting with friends and make it into cakes. About to me and! It seems to me wonderful that we just flood with these treats, the penalty is not able to test,I,I. A big kiss. That delight. I'ma total fan cakes with ricotta cheese and this must be sublime. Certainly, thank you very much for visiting my blog. I did not know yours but I really loved so I'm already subscribed to not miss one of these wonders. Big kiss. A spectacular cake. This recipe also led me, Encar. 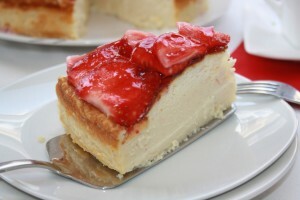 I love cheesecake and this is out. a kiss. Every day you overcome, Encar, increasingly richer tidbits want a piece puhleeeease! Mother me matas! !Every time I come here I'm salivating jejejej, I love rich beyond what you have to be uqe has been precious! !besitos linda!!! Ayyyy, what a wonderful cake! 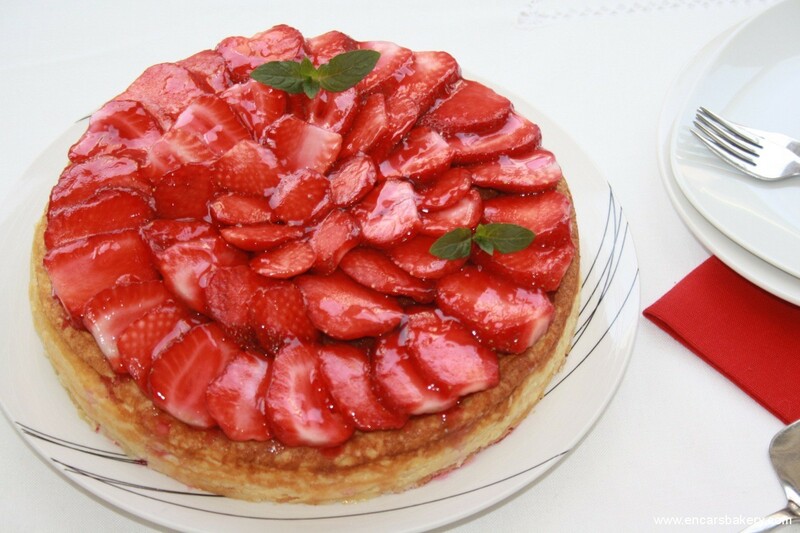 The presentation is great with strawberries, so bright, so tempting .. and top with ricotta, must be a delicious snack…I loved! Oh that cake rich tannn!!!! 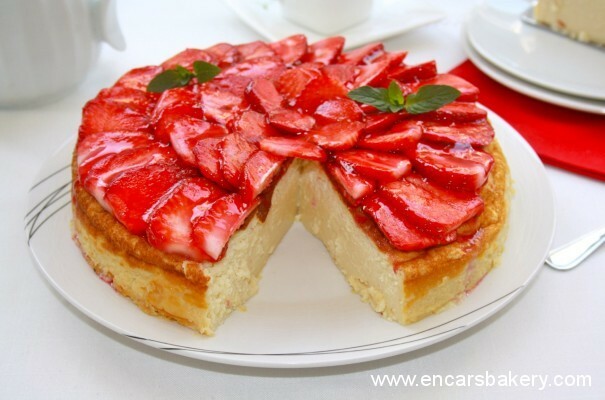 I love cheese tarts, Preferred as strawberries and even more!! Delicious. 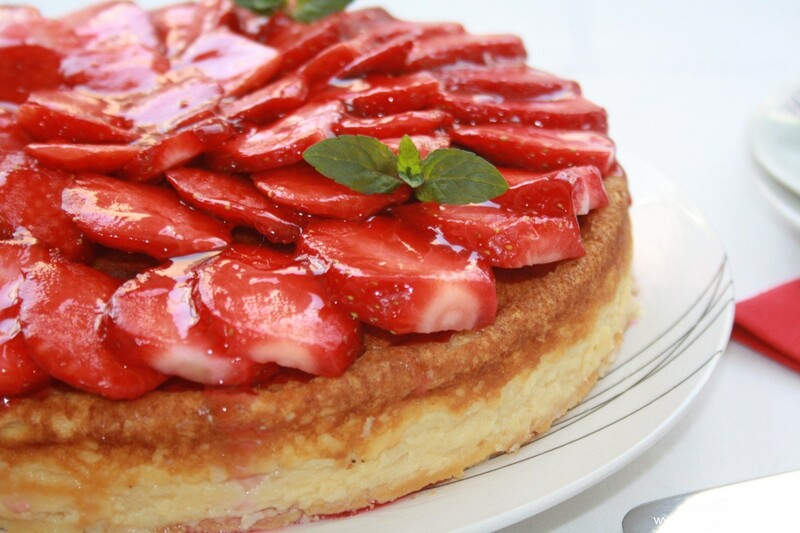 mother of mine who has such pint strawberry cake with these…, rich rich. jooo look so good with what you have, with what I like cheesecake and fresh strawberries on top accompanied by, the nova more!! In addition to this staging who resists, the next beam for smaller pieces to see if I get to taste some!! Begging to eat it, that delight! Mother not cake? And a sad breakfast biscuits I keep me a bit lol, a big kiss. What does this cake look good. I've never tried the combination of strawberries with cheese. It must be really good. Congratulations! Encar, I love how easy it is to find things in your blog, I have the cake once told me. I will try tomorrow to make the birthday of my mother. I'll tell you that this has come. What time you finished yesterday? Yesterday I left shortly after you because I came to pick up my husband with the children, so do not know what time would end. See if today I post the Kedada .. Thank you for your recommendation, we have to add that, yes. The truth is that there are still little things to make the blog, but everyday is a mess. Hello! thanks for the recipe and I and my guests were fascinated!! Excellent and cool for hot days. I'm glad, Patty!!! the truth is that this cake is usually a success, I do it for many years and will continue preparing..